It's Christmas time !! Imagine how much fun your kids would have with a life-sized gingerbread house! 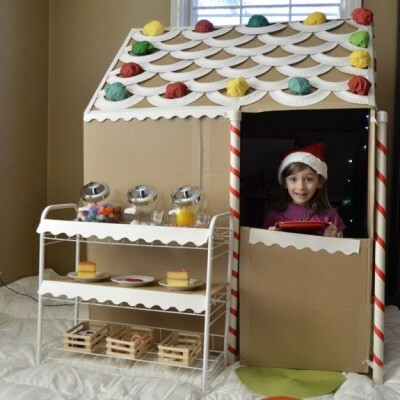 Construct the base from cardboard boxes, then add all sorts of colorful “candy” decorations. Great for creative play. Get the instructions for Cardboard Gingerbread House at link below..